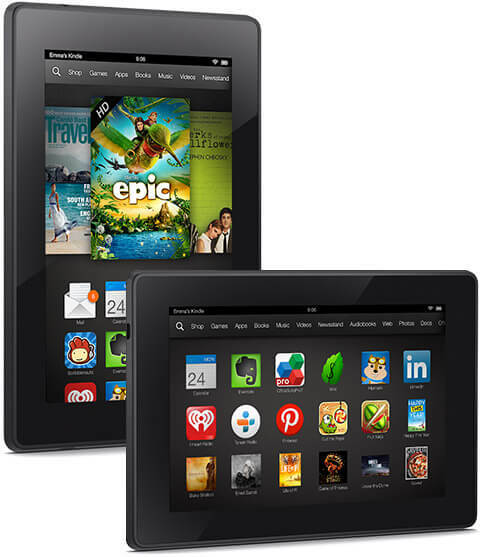 ; the second generation is called Kindle Fire HD; the third generation is called Kindle Fire HDX. Each generation of product has their own refreshes and updates, the intricacies of which I will not get into right now. The Fire HD 6, Fire HD 7, and Fire HD Kids Edition that were released last year (2014) are all additions to the second generation, Fire HD, series. BTW, the word “Kindle” in Kindle Fire HD has been dropped and now, it is called the Fire HD series. are exactly the same. They both stand at 7 inches of screen size. The only difference is the weight difference of 8 grams; Fire HD weighing 345 grams and Fire HD 7 weighing 337 grams, which not much at all. However, the Fire HD 6, owing to the screen size of 6 inches is more compact, although the thickness is the same between all three models. The Fire HD 6 is lighter at 290 grams. due to pixel density. Apart from this difference, all models seem to have similar display configurations. and Fire HD 7 runs on Fire OS 4; Sangaria while the Fire HD runs on Fire OS 3.0; Mojito. Both of these operating systems are Andriod based. Sangaria isn’t much different than last year’s Mojito, but it adds a few features to make sharing the tablet with family members simpler and extending the battery life easier. The processor runs on 1.5GHz Dual-Core CPU, with 1GB of RAM on the Fire HD while Fire HD 6 and Fire HD 7 runs on Quad-Core: 2 @ 1.5 Ghz + 2 @ 1.2 GHz, with 1 GB of RAM. would run faster than Fire HD. Switching between Apps, gaming experience, the general responsiveness of the tablet would be friendlier on both Fire HD 6 and Fire HD 7.
, you get 8 GB (4.5 GB available to user) or 16 GB (11.6 GB available to user) of internal storage. It is a difference of just 0.3 GB, but to a regular user, that may be worth a couple of Apps. This storage difference is definitely not a deal breaker, but you would want to know all of the teeniest differences if you are anything like me. including pictures, videos, music, and so on for free. This totally makes up for the rather small memory space otherwise. I would still recommend that you go for the 16 GB version. , Fire HD 7, and Fire HD. The sound is still as nice as it was when Dolby-tuned stereos were first introduced in Fire HD. This is definitely not competition between the three devices. 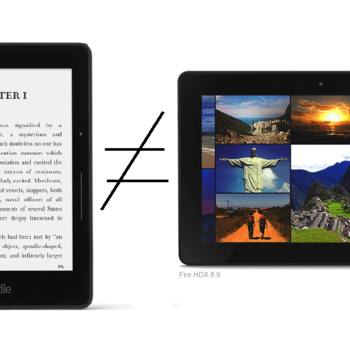 Most specifications are almost the same comparing these Kindle tablets. At most, you will have to decide whether you want a 6 inch screen or a 7 inch screen. 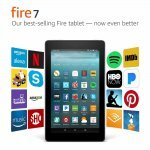 The Fire HD (2013) can definitely take the back burner since Fire HD 7 with better specifications is offered at the same price. If you want something smaller and handier, go for the Fire HD 6. Last updated by Sarah Lewinsky at August 13, 2016 . 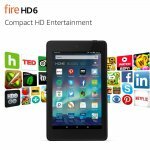 A comparative review of Fire HD, Fire HD 6, and Fire HD 7 tablets that will help buyers discern the features and specifications that Amazon tablets offer.